Location: 2 out of 5 Does anyone really enjoy the crowd that walks around Piccadilly Circus? Layout store: 4 out of 5 It's simply too big to have an amazing lay-out, but there are signs everywhere. Offer: 5 out of 5 Seriously, what book does this store not own? Overall: 4 out of 5 Definitely one of my favourite bookstores so far. One of the reasons I wanted to move to London was to experience all the amazing bookstores they have here. There are Waterstones just about everywhere and then there are so many cute little hidden bookstores in forgotten streets that hold the most beautiful old books. Choice enough. So how does a girl decide where to go? Well in my case, I blog about the bookstores. This gives me not only an overview about which stores I like, it might also help other people coming to London, and as an added bonus, it gives me a great excuse to go bookshopping all the time (“Oh it’s work - I won’t buy anything”) and just visit EVERY book store. And what’s a better start than the biggest bookstore in Europe? I set out to review the whole store in one post, but realised that with five HUGE floors, it was just too much. I couldn’t even take in all the books I saw, let alone form an opinion about them. So this post will tackle one of the most important section in each bookstore: the classics. 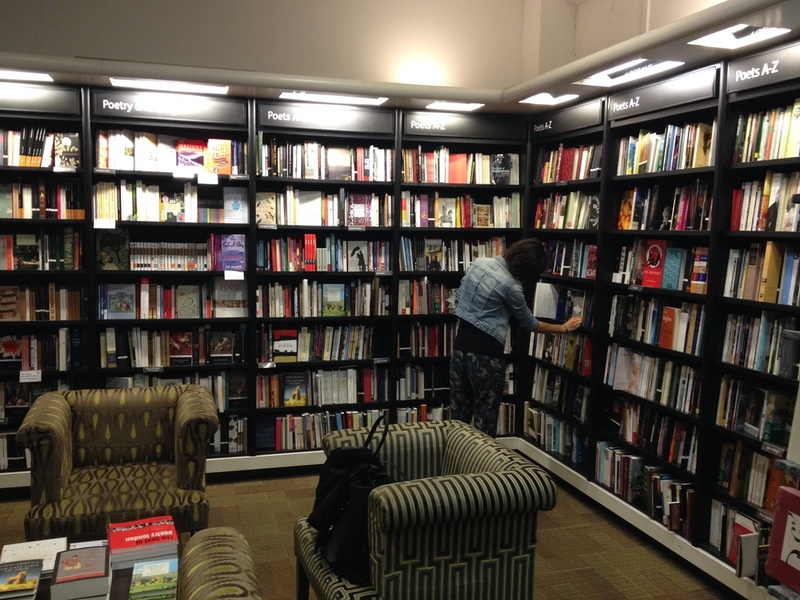 Waterstones Piccadilly: Is it really a classic? 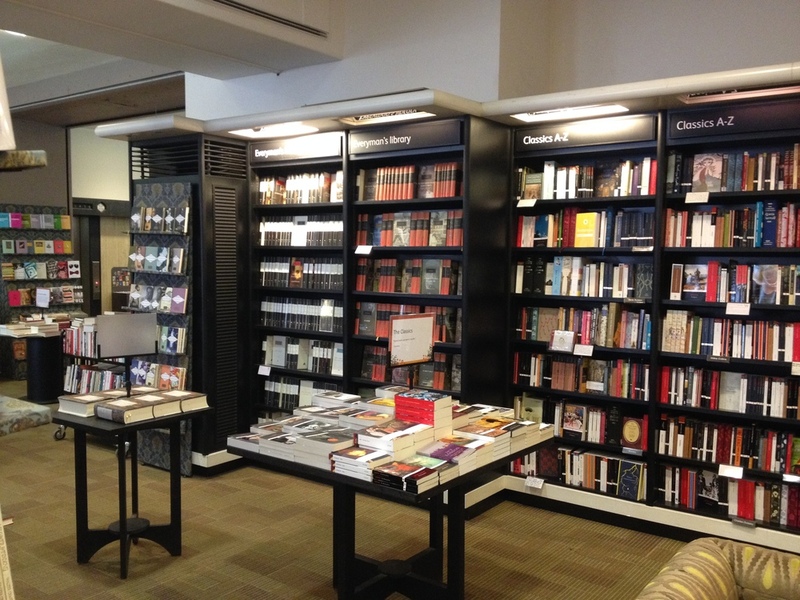 Waterstones Piccadilly’s classic section can be found on the first floor, in a huge corner on the right-hand side. Shown below is one side of the corner, where there’s also the possibility to relax and sit down. The classics - mostly poetry. As you can see, these books are all the poetry classics. The collection of every single classic. While these above are all the fiction classic. Lord Byron - not sure if I'll ever get through this. Oh MA, what are you doing to me?! Literally every author you would classify as “classic” is in there. The best part being is that there are so many editions of each book. There are the Oxford Classics, the Everyman’s Library editions (which are all beautifully stacked together in the two left shelves on the pictures above). I just love seeing the red spines of the Everyman’s Library books. But I needed an Oxford Classic for school, so that's what I bought. They also had some really cool (really expensive) special editions of books - such as these Charles Dickens stories. If anyone is interested in prices - I didn’t dare touch these - so I have no clue. They were so pretty and I felt such a major urge to shop for books that I probably would have talked myself into buying these for whatever ridiculous prize I can’t afford anyway! But the absolute best part of the classics section was that they had the cloth-bound Penguin books. I always wanted one of the classics in that edition and I just couldn’t resist the urge to pick up Wuthering Heights (so watch out for that review soon). Isn't this book such a beauty?? I'm in LOVE. So to sum it all up; as was expected, the classic section of the biggest book store in Europe was pretty fantastic. All the authors I looked for in a classics section were there and the amount of editions of each book they had means that readers on every kind of budget can find what they are looking for. 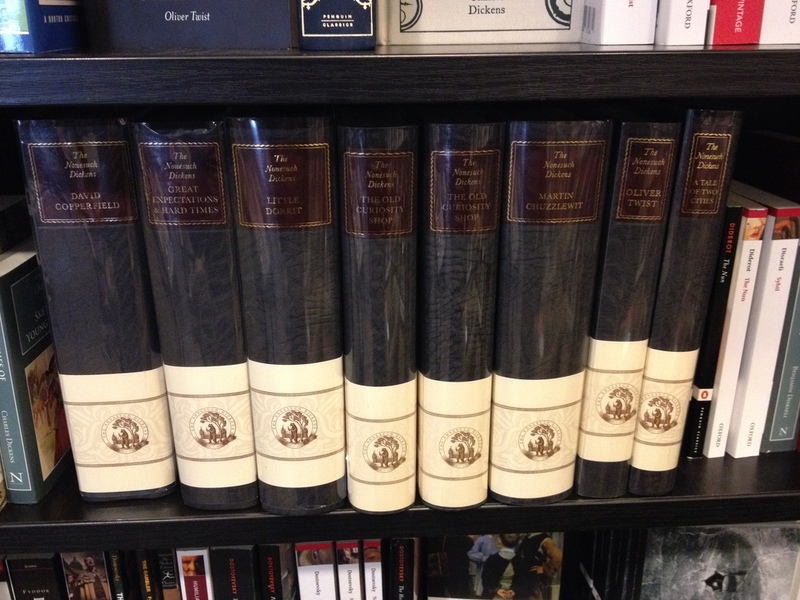 There are 8 pound classics (that still look gorgeous) to the expensive looking Charles Dickens editions to the cloth-bound medium prized classic. P.S. I usually won’t review staff when only talking about a section of a store, but the gentleman who was working the cash-checkout (right next to the Classics) was absolutely wonderful. He suggested some other books for me to try and gave me an extra stamp on my stamp card. He alone was reason enough for me to want to return to this store.